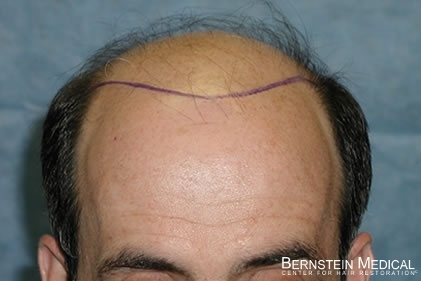 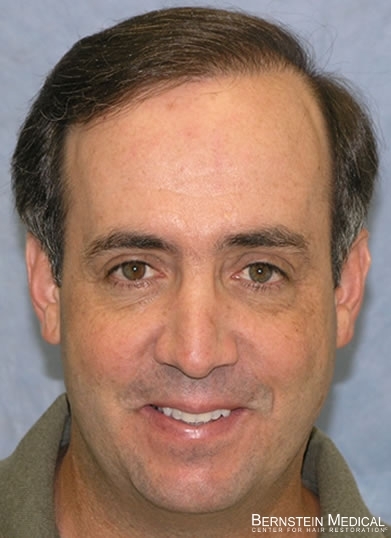 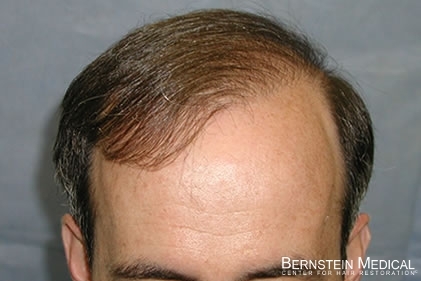 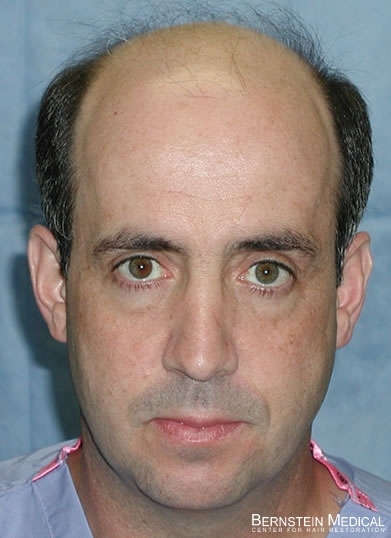 Bernstein Medical - Center for Hair Restoration Patient QPC is a Norwood Class 6, with straight, dark brown, medium weight hair with a donor density of 2.1. 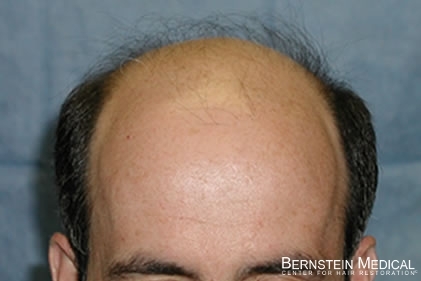 He had two hair transplant sessions totaling 3,735 follicular unit grafts. 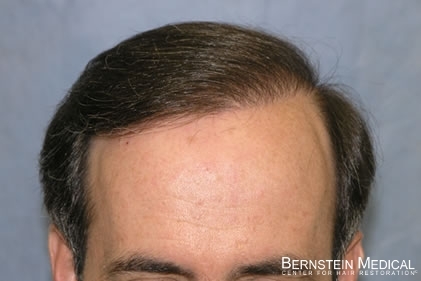 Detail showing position of hair line, results after the first session and then after a second procedure.